If you have an urge to know about history, society, arts, psychology, philosophy, politics and related subjects then a Bachelors of Arts degree from Top B.A Colleges In Maharashtra is a must for you. There you will not only seek knowledge but will also be able to understand and inculcate the relation of everything in this world and how everything is interdependent and linked to each other. Covering all the important and prescribed B.A degree subjects in India we are enforcing our students to build a career of their choice post completion of the course along with that have an in-depth knowledge of the subject in which further they can specialize and go for research purpose as well. With approved Bachelor of Arts Courses in India, below are the B.A course subject details and overview which the University is offering to the students and helping them get a career in whatever field they aspire to. One should practice what they preach is something Sandip University follows. The infrastructure and the state-of-the-art classrooms and round the clock assistance for studies and academics are few of the reasons to joining Sandip University but what makes it the best B.A degree college in Maharashtra is the way of teaching. With extensive methods and practical pedagogy, Sandip University produces students who are not only a degree holder but are also well involved in the subject and have studied it to the depth and grabbed all they can with research and experiment based teaching. The staffing, management, administration, etc are all organized and coordinated for the smooth functioning of the programs. B.A in Psychology is a 3-year undergraduate course that deals with the behavioural and mental functions of a human brain. This course is designed for students who are curious to know how a human brain functions and what are the behavioural traits of different people at different time and situation. Those who want to learn the power of the mind can opt for this course at Sandip University. The Bachelor of Arts, Syllabus is designed in such a way that everyone can find the suitable subject for them and pursue their career in that. The career options for B. A in Psychology are many such as career counsellor, case manager, child care worker, market researcher, psychiatric technician, rehabilitation specialists to name a few. Sociology is the study of society and its elements along with social behaviour. In the school of social science at Sandip University, the students are offered B. A in Sociology which not only involves theoretical teaching approach but also a practical method that teaches the students to understand the society in a deeper way and also to study the society and bring reforms and changes as and when needed. In Sandip University: B. A Sociology course admission is done based on merit and the zeal with which a student wants to study the subject. They are taught about instances both from the past and the present which is very important to predict the future and be prepared accordingly. The opportunities for B. A in sociology students are amazing as they can pursue their career as human resources representatives, guidance counsellors, lawyers, management consultants, market research analyst and many more. B. A in Philosophy is another branch of social science which deals with the thoughts and perceptions and ideologies of people at different level. Students study the ideologies of some of the great personalities who have changed the world for both good and the bad. 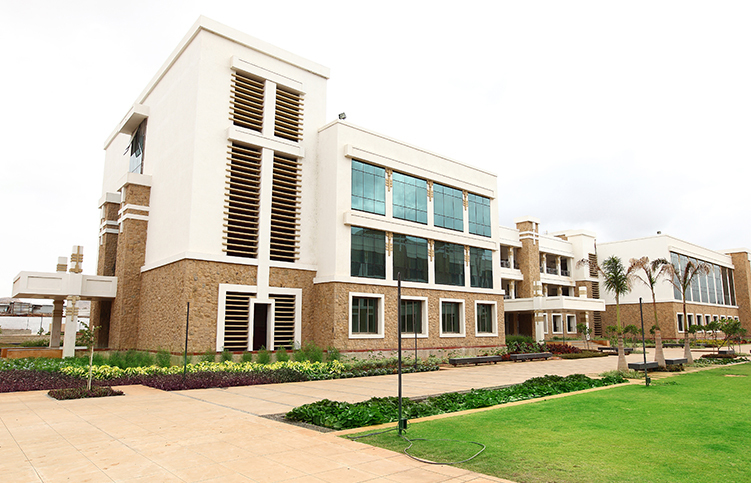 It is a 3- year degree course which is offered by Sandip University which is one of the best B. A degree colleges in Maharashtra. The college looks forward to offer the course in such a way that the students can have both explicit and implicit learning which is very important for the students. With a degree in B. A in Philosophy one can land a job as a Barrister, Health Service Manager, Local Government officer, Solicitor, Stockbroker, Paralegal to name a few. Politics is a major factor that drives the world. There is no place on this earth where politics is not involved unless you are in Antarctica. The world needs future leaders to be aware of the situation and that is what is taught at Sandip University in B. A Political Science program. It is also one of the B.A. (Political Science) Colleges in Maharashtra which is why students aspire to study political science from Sandip University. The teaching staff and the college management emphasis on quality education and that make Sandip University to stand among the best Universities in Indian. The scopes for B. A in Political Science students are political scientist, teacher, researcher, government jobs, etc. Sandip University has helped many students pursue their career in Economics which is a major element of the society or which makes the society. The level of people and their livelihood, the status of a country is judged by its economy and at Sandip University, students are taught about economics. They are sharpened to emerge as leaders and change the economic scenario of the country and lead it to a better tomorrow. They are taught about the factors that affect the economy of the country and how they can play a major role in changing the economic status of the country. A B. A in Economics can become an accountant, auditor, stock broker, in actuarial field, retailing, media analyst, system analysis and many more. Learning about languages is an art. It is also a great way to understand about different languages and how they came into existence. Many students are fond of understanding the details of English language and different incidents that changed the language. Bachelor of Art in English is a course designed for those students to study the language in depth. They are also given training about various things which makes them better than other. B. A English scopes are many as one can become a writer, blogger, a teacher doing specialization in English and can also go for research purpose. For more details regarding the college and the above-mentioned courses call us on 1800-212-2714 (Toll-Free) or write to us at email info@sandipuniversity.edu.in. You can also log on to our website http://sandipuniversity.edu.in.